Today Tom shows off the C3 and C4 Corvette Anti-Rattle Door Window Bumper. 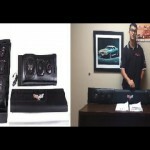 Product Link And Description Below: The Eckler’s Auto Hub is your one stop for all your car restoration needs, we are constantly adding new videos to help you with your installation, feature great products or just provide entertainment. So check out our videos and individual channels below and don’t forget to subscribe to get even more daily videos! Your C3 & C4 Corvette driver and passenger windows can rattle, leak air at speed, and even become scratched. How? 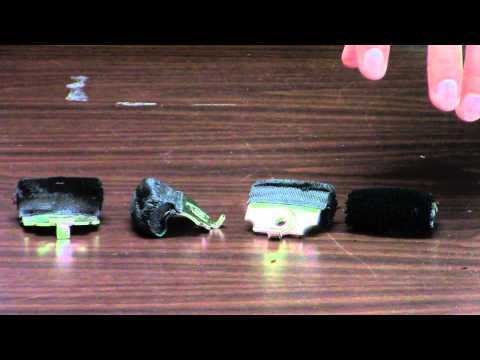 Over time, your factory anti-rattle bumpers harden, attract dirt, and deteriorate with age. 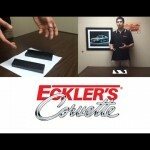 Eckler’s 1969-1996 Corvette anti-rattle door window bumpers are high quality duplicates of the original GM parts. They fit just like the original anti-rattle bumpers but with exceptional durability thanks to modern materials and manufacturing methods and protective felt lining. These are sold as a complete car set with hardware. Want to buy these individually? Look no further than P/N A9211. 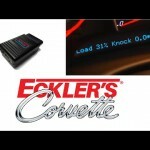 Trust Eckler’s Corvette to restore proper window function on your 1969, 1970, 1971, 1972, 1973, 1974, 1975, 1976, 1977, 1978, 1979, 1980, 1981, 1982, 1984, 1985, 1986, 1987, 1988, 1989, 1990, 1991, 1992, 1993, 1994, 1995 and 1996 Corvette.